Friday, February 23, 1:00 p.m. The OSHA silica rule is in effect in California, and this is your opportunity to learn how the requirements impact your operations, and how to train your workers on crystalline silica hazards. RCAC provided financial assistance to NRCA to conduct a series of field tests of the levels of airborne silica resulting from various cutting and demolition activities, and attendees of the webinar will learn the results of those ongoing tests. Presentation will be led by Harry Dietz, NRCA Director of Enterprise Risk Management. 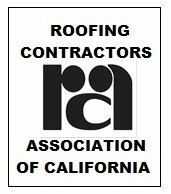 Registration for this one-hour webinar is free to members of the Roofing Contractors Association of California. Register online here, and a link to the webinar will be emailed to you at least 24 hours in advance of the scheduled time.